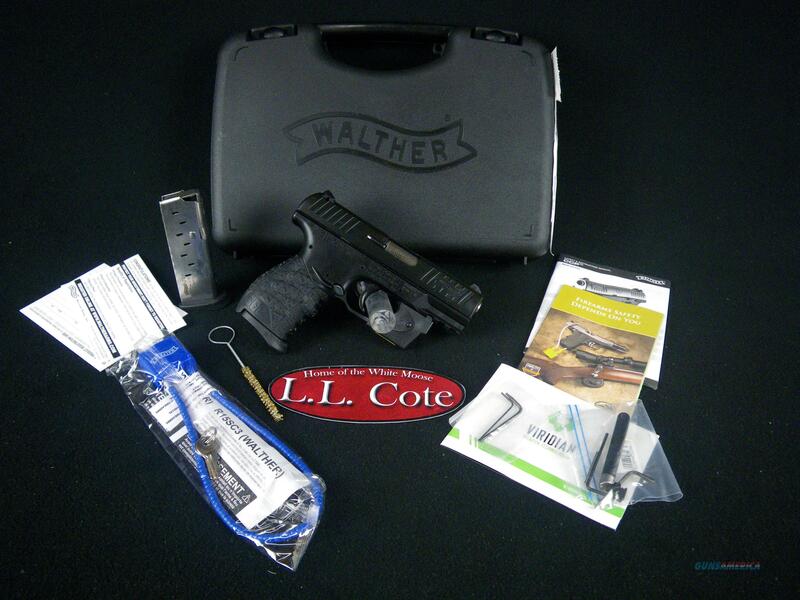 Description: You are bidding on a Walther CCP in 9mm with a 3.54" Barrel. The Walther Arms CCP is a single action pistol chambered in 9mm with a 8 round capacity. With it having the "Soft Coil" gas-delayed blowback technology, it makes the CCP an excellent concealed carry firearm. It has a polymer frame, manual thumb safety, and low-profile 3-Dot sights. This model has a black frame with a black slide. It also comes with a Viridian red laser. Displayed images are stock photos. Any questions please feel free to ask (our phone number is in the additional information tab above).